Your Dynastar Women's Legend 96 Ski is like your trusty best friend--it's there for you no matter what. Ideal for any condition the resort throws your way, the Legend 96 keeps you afloat in fresh snow thanks to its rockered profile and 96mm waist, while camber underfoot and sidewalls let you lay it down on variable terrain. 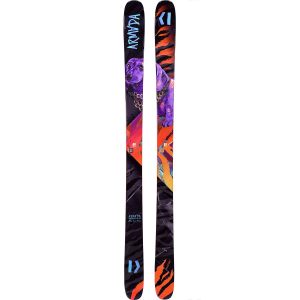 Constructed with a light paulownia wood core, these skis are playful and poppy, with a short turn radius that makes it quick and easy to navigate tight trees. With these planks underfoot, you'll be slashing and carving all over the place with a big, fat childlike grin plastered on your face the whole time.